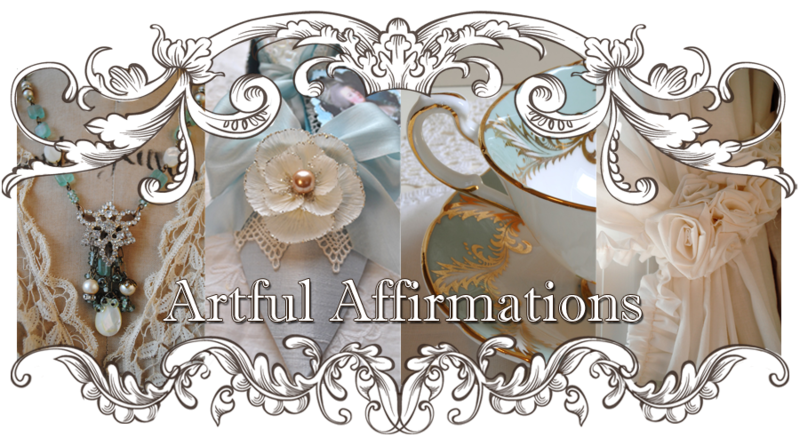 Artful Affirmations: Tea Cup Tuesday-Flowers! 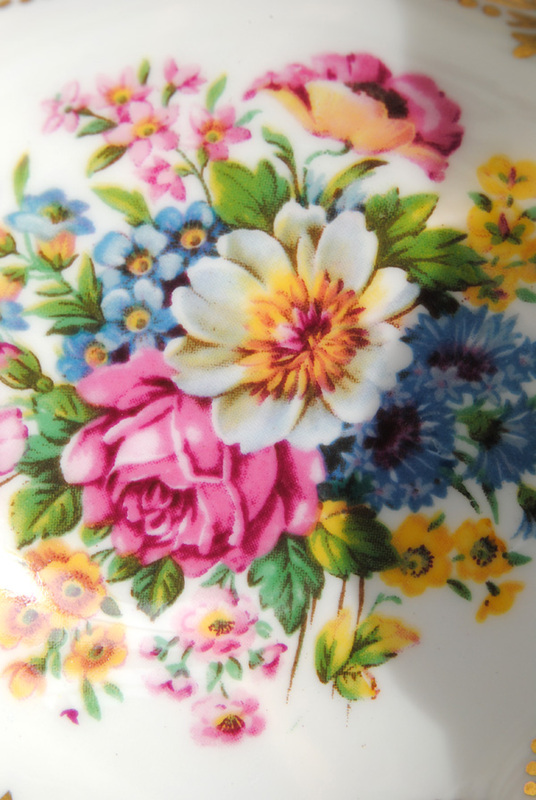 just about the beautiful flowers on my tea cups. I am starting off with the gorgeous flowers in the above photo, which are on a beautiful Paragon cup. The vibrant and detailed flowers are gorgeous! on a demitasse cup from Germany. Beautiful bouquet of flowers on this Foley. More pretty boughs and posies of roses and flowers on another Foley. 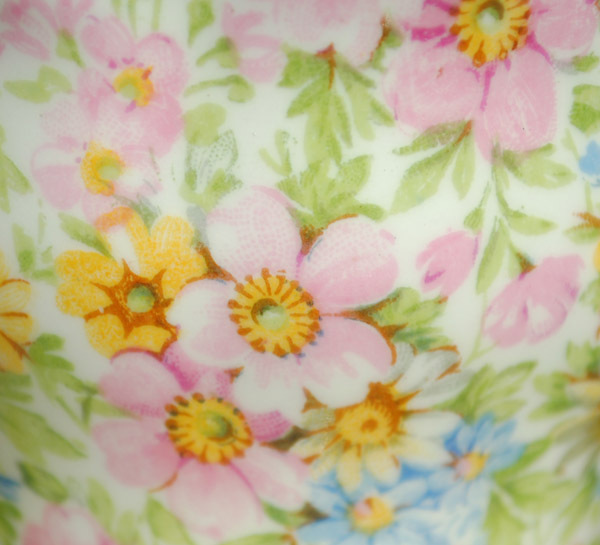 These chintzy flowers are on a very old Collingwood cup. Artists flowers on this old James Kent piece. Here are beautiful roses on a vintage Royal Imperial cup. 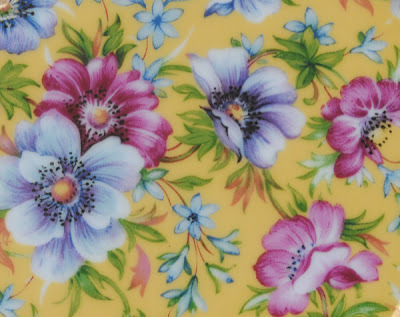 Here is a bright chintz floral from James Kent. Lovely pastel chintz flowers on this Rosina cup. 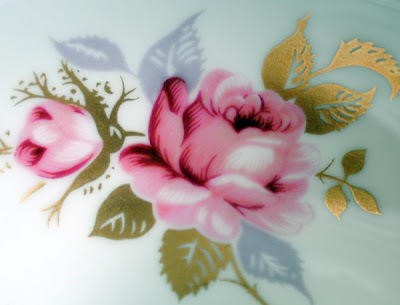 A gorgeous cup by Meander BV, actually, this is the plate! It was easier to photograph. 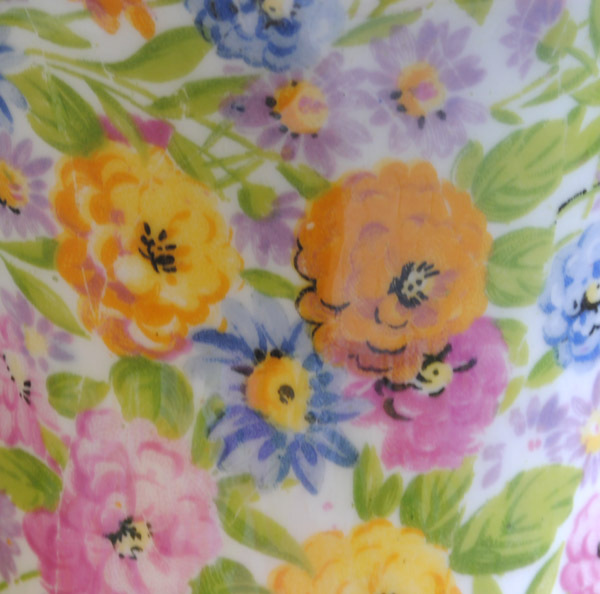 Beautiful flowers on this Queen Anne cup. 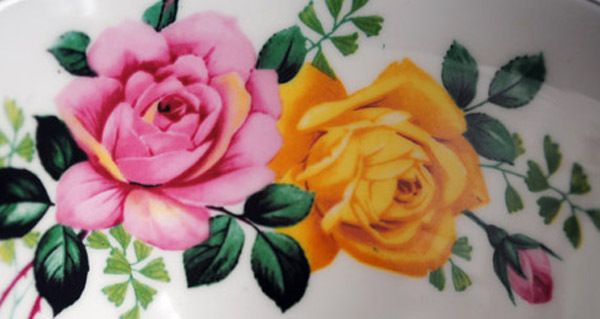 These lovely roses adorn a Royal Grafton cup. 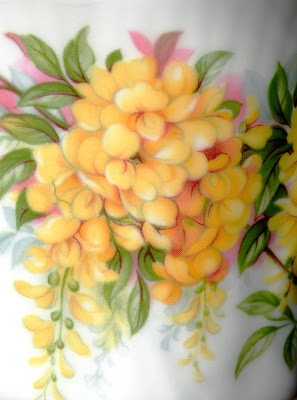 This cup has the most stunning color of yellow and green flowers! It is on a Royal Albert Blossom Time Series cup called "Laburnum". 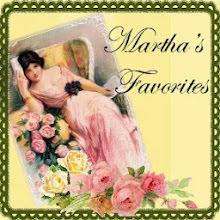 Martha and I are enjoying visiting each of you and seeing your lovely china. I want to take a moment to thank you for your visits and your kind comments. If you would like to play along, just go and create a post with a tea cup in it. Tell us about your cup, how you got it, where it came from, and show us the backstamp...we love seeing it too. Then come back here and link up below. 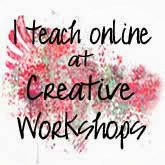 I am wishing you all a creative and imaginative summer! These are such beautiful flowers. Its amazing how much detail is in these little portraits. I know the amount of work that goes into making those flowers. 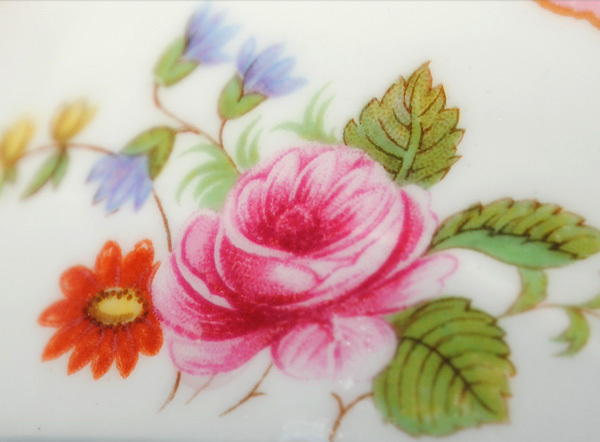 My sister is an artist and she paints the most gorgeous flowers on porcelain. I love this post and how you captured the beauty from each cup...I think we are lucky as teacup collectors to be around this beauty! Love the flowers! Thanks for hosting. 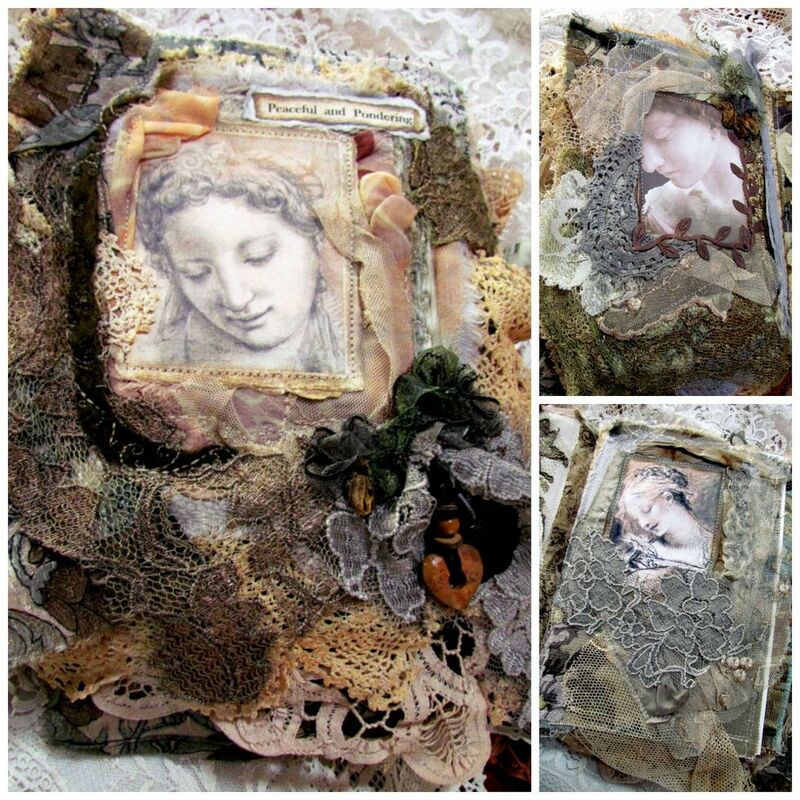 Oh my, what gorgeous patterns, Terri! Love flowers and I especially love chintz! Thanks for sharing and Happy Tea Day. Very beautiful photos! I love the chintz cups/flowers! 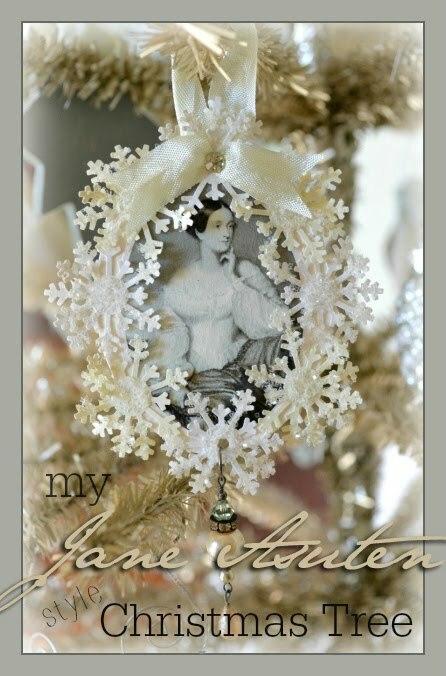 I think your photos would make lovely greeting cards! 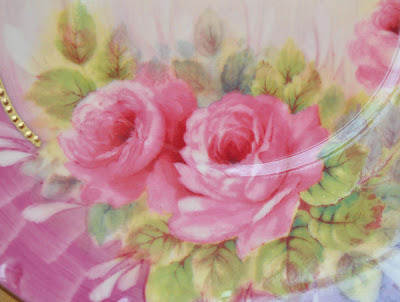 Wow, what detailed photos of the pretty roses from your teacups Terri! Haven't joined you in a while, but glad to be back. Hope all's well with you! 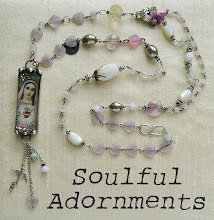 Beautiful florals, Terri - but I'd expect nothing less than beautiful from you! Amazing the detail in things so small. Sets me to thinking . . .
this is so nice to follow! Eyecandy that really makes me smile! Thank you! Thank you for this happy flowers post! Beautiful! Love Shelley - sadly I only own one!!! Great post from a different angle! totally gorgeous! i'm crazy about flowers especially in teacups/china, you have so many beautiful ones! i'm sighing with envy here! thank you for sharing! 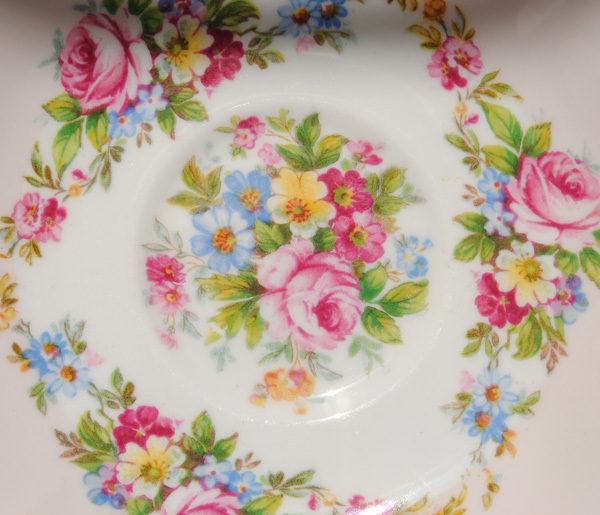 Hi Terri - looks like we're both showing lovely floral tea cups today! Have a great day! Terri - oops, sorry! Just noticed that I seem to have entered twice! Don't know how that happened! 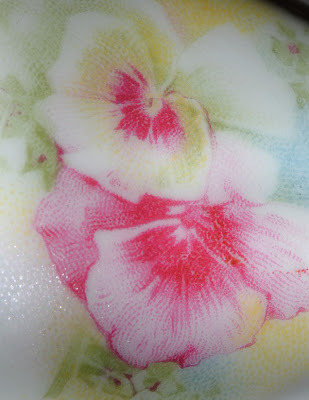 Terri, my favorite part of the teacups are the bouquet paintings. Thank you for zooming in on those today...what absolute lovelies. Those are glorious! I am fast becoming a fan of flowers and, in particular, pink flowers. These are pure pleasure. What a terrific idea for a post!!! One can never get too many images of such beauty. Absolutely intoxicating! Today my post is different too! Your post has been lovely! Great idea to focus on the flowers alone. They are so lovely. Thank you for hosting, Terry. All so beautiful, wish I could see them all IRL! TFS! lindas imagens de flores na xicaras! Terri, Your flowers are lovely and I'd be hard-pressed to choose a favorite, but it I had to my fav. would probably be James Kent and Rosina. How beautiful they are! Thank you for sharing your lovely tea cup collection! What a gorgeous post Terri, a real posy of delight. 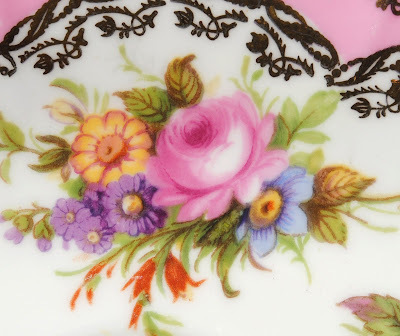 I have been AWOL from Teacup Tuesday for a while, I have been having awful problems with blogger. I have a new laptop today, so fingers crossed I can get back on track. 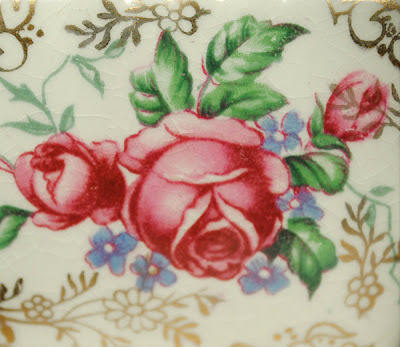 These are very beautiful roses on a vintage Royal Imperial cup. Your blog is best example of spring sessions. gorgeous flowers and amazing teacups! the colors are amazing! Those flowers are just breathtaking! Thank you for hosting our tea party and sharing such an abundance of beauty! Also, your patriotic freedom banner is gorgeous!! 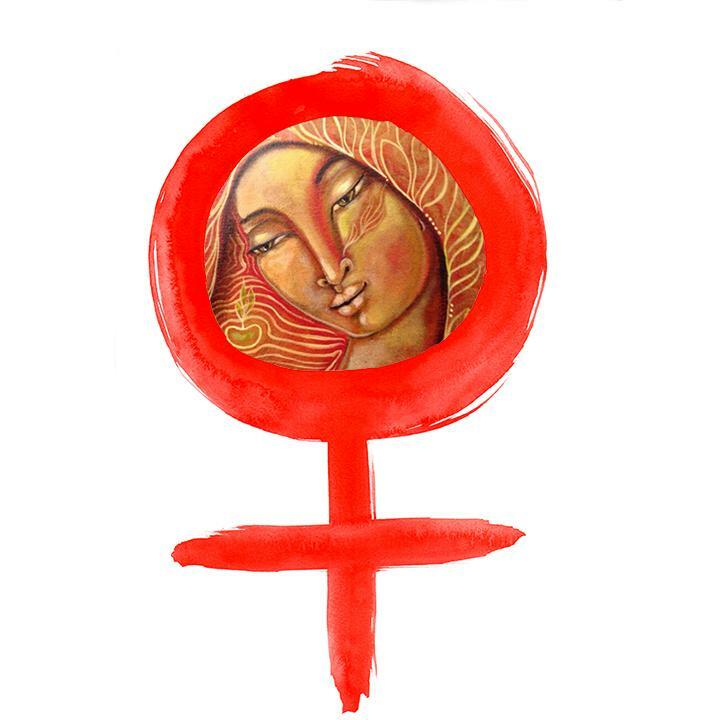 I think it is the prettiest banner I have ever seen! What a great idea...I feel as though I have just been on a walk through the most beautiful garden. Isn't it wonderful to have such beautiful flowers to enjoy inside when the weather is not friendly on the outside? Thank you for sharing your teacup treasure. Hello, I love your blog and your projects, I used your tutorial to make the elegant shoes. I just popped over to mention that I posted your elegant shoe tutorial over on the Kell Belle Studio blog and hope you'll come by for a peek. Your work is gorgeous and such a visual treat to look at. These floral patterns on your china are exquisite especially close up in such vivid detail. Wishing you a whimsical Wednesday. Great pictures! Love all the roses. Your teacup flowers are just so beautiful, wonderful post. I wanted to let you know I used your tutorial for the Fairy Shoe swap I was in over at BlissAngels. 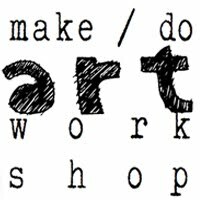 I will be looking at your other tutorials as well. Terri...what a gorgeous spotlight and tribute to such beautiful patterns..delightful!! Wonderfully inspiring! 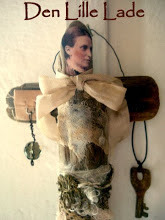 What a wonderful post you created this week! So inspiring!